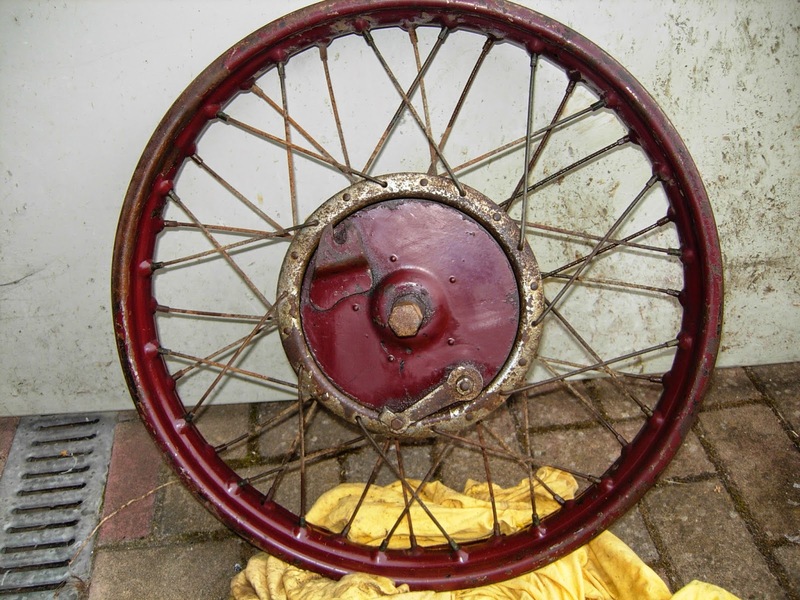 -JdK- Juergen in Germany has SOLD these wheels available. 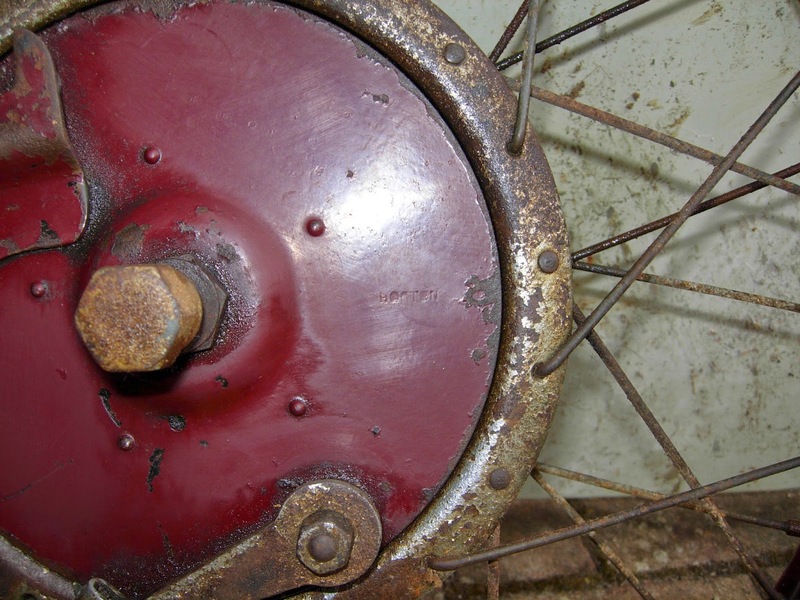 The rear wheel is an Enfield, the front wheel is a Horton. 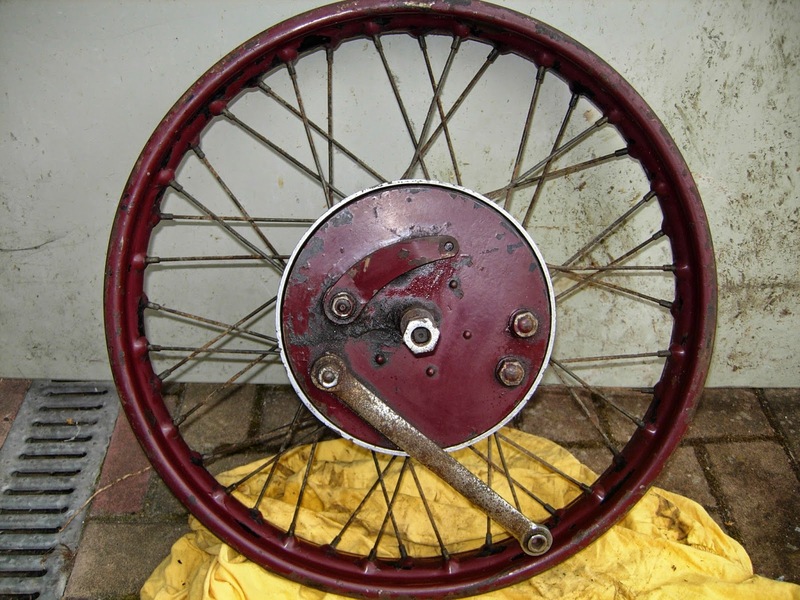 These wheels are correct for c1929 Nortons like the Models 16H and 18. 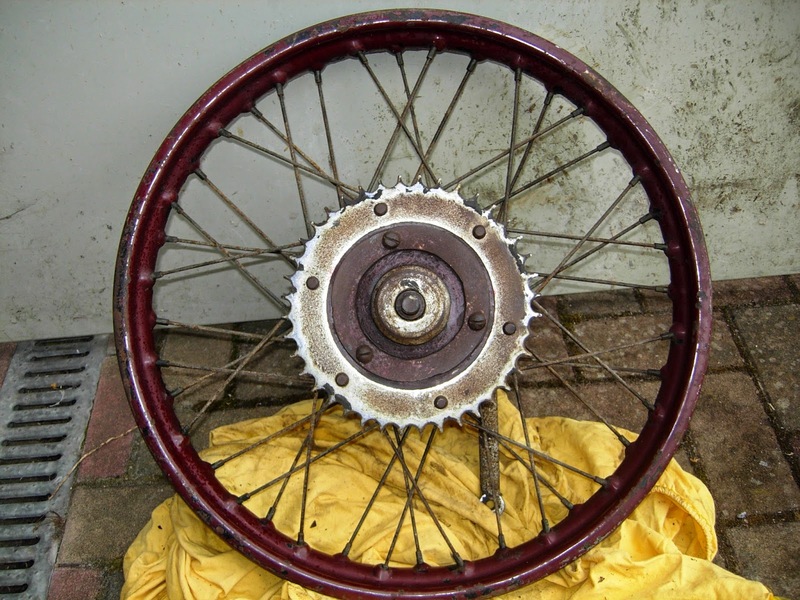 Juergen is asking €700.- for the pair but would also consider swapping against 500cc JAP OHV parts. Contact us for Juergens email address.